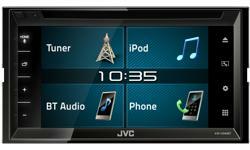 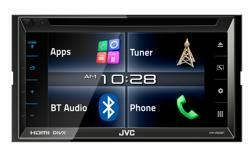 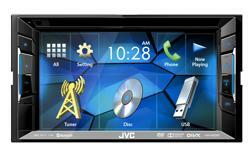 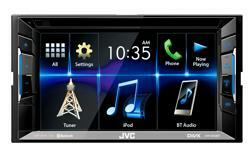 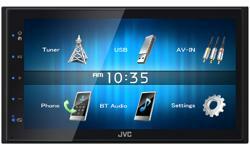 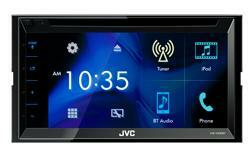 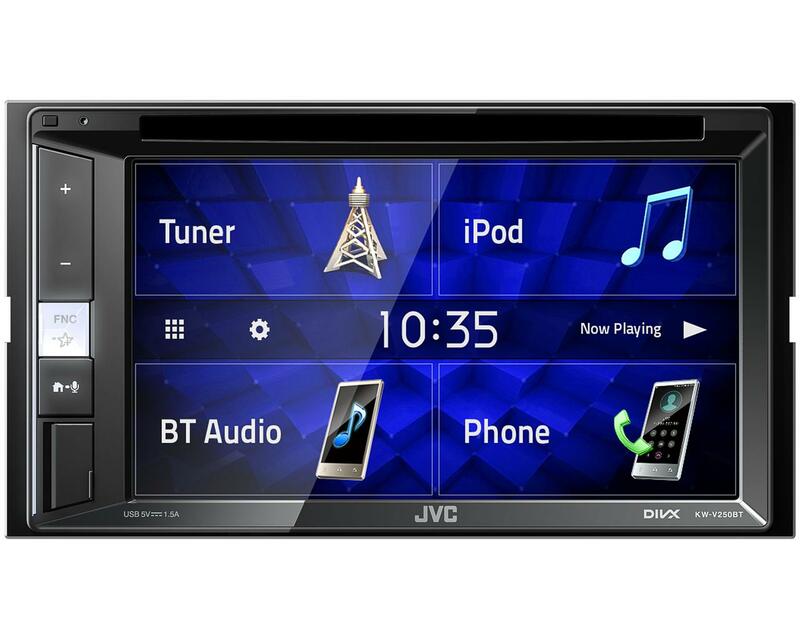 KW-V250BT JVC's Car Stereo • JVC U.K.
JVC's new entry car multimedia system KW-V250BT uses a large 6.2 inch clear resistive touch screen to control all of the latest features included in this package. 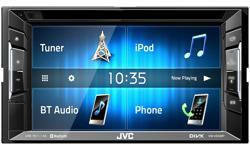 CD/DVD playback is complimented with Iphone, Bluetooth music streaming and hands-free control of two separate phones. 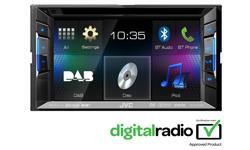 Spotify music streaming app opens the door to a world of Cloud base music. 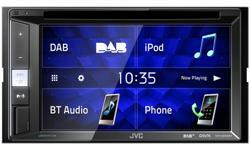 Sound quality is ensured by using Full Digital sound processing and time alignment along with a 13 band Graphic Equalizer. 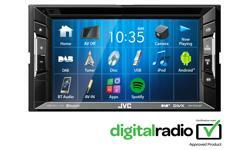 Should you with to add external emplifiers 4.0V x 3 Preouts are waiting on the back panel.